The erstwhile John Mahama-led National Democratic Congress (NDC’s) administration and President Akufo-Addo-led New Patriotic Party (NPP’s) administration, are highly indebted to the Social Security and National Insurance Trust (SSNIT). Director General of SSNIT, John Ofori Tenkorang, sought to attribute the inability of the Mahama’s administration to settle its contributions in 2016 to the general elections held that year. 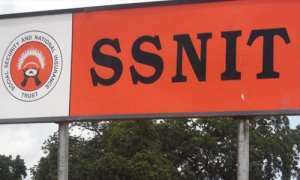 Mr. Ofori Tenkorang says SSNIT was in talks with the Finance Ministry to settle the debts.